In April the Brethren of Southern Cross Council No XIII had a very busy morning with both the Degree of St Lawrence the Martyr and the Degree of the Red Cross of Babylon. Present at the meeting was the Deputy District Grand Prefect, VW.Bro. Frank Powell and the Past District Grand Prefect RW.Bro. Ray Hussey. A Degree of St. Lawrence the Martyr was opened by the Worshipful Master, W.Bro. Bob Hancock. After taking the minutes we balloted for Derek Barr, Past Deputy Provincial Grand Master of the Craft Province of Surrey, which proved in his favour. Bro. 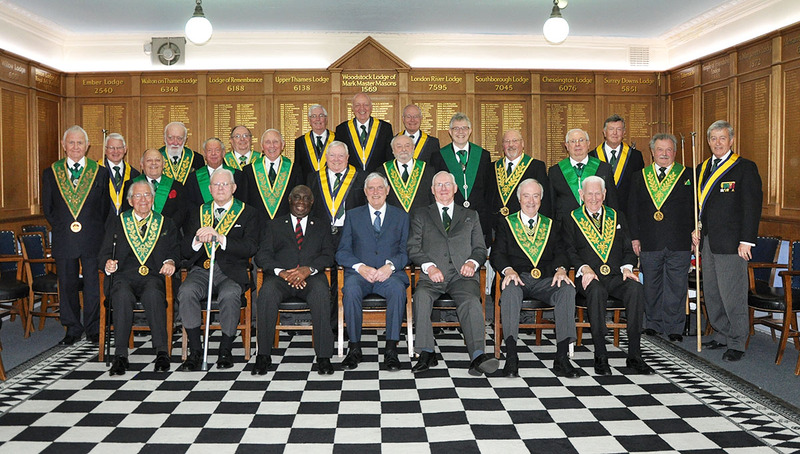 Derek Barr was Introduced, Received and Admitted as a Brother of St Lawrence by the Worshipful Master and Officers of the Southern Cross Council. A Lodge of St Lawrence was then adjourned and a Council of Red Cross of Babylon was opened. Bro. Derek Barr and 2 Brethren from other Councils were Constituted and Created as Knights of the Red Cross of Babylon. Bro. Ian Clark was then elected as the Worshipful Master for the ensuing year and W.Bro. David Willmott was elected as Treasurer.